Throughout Donald Trump's presidential campaign, he was particularly critical of the United States' membership in the North Atlantic Treaty Organization (NATO), often deeming it too expensive and somewhat obsolete. While President Obama recently gave a speech assuring U.S. allies that Trump's commitment to NATO would remain strong, there is still much uncertainty about Trump's dedication to the historic transatlantic alliance. Firstly, the President-elect has not directly expressed his commitment to the Alliance. Secondly, NATO's Secretary General's recently requested that members increase their defense spending budgets, perhaps in response to Trump's hesitancy. Ultimately, the President-elect would be wise to rapidly and publicly announce his commitment to NATO, as the alliance is incredibly important to both U.S. and global interests. NATO is an intergovernmental military alliance that was first established during the Cold War as a means of protecting European democracies from Soviet Union aggressions. NATO's principle tenant is that of collective defense; for NATO members, "an attack against one is an attack against all," meaning that if any country in the alliance is attacked militarily, the alliance will come together to collectively protect and defend that country. NATO currently has 28 members, including the United States, Canada, and most of Europe. The United States' membership is highly valued in NATO due to its significant and extensive military capabilities. While much about the world has changed since the Cold War, NATO has readily adapted to these changes and proven itself to be a highly useful and important alliance. For example, it's played an integral role in both combatting terrorism and fighting against humanitarian atrocities. Following 9/11, NATO took partial command of the American military mission in Afghanistan and deployed several thousand soldiers to the country through its International Security Assistance Force. Additionally, it also provided naval services to combat marine terrorism. NATO has also helped combat humanitarian crises and atrocities such as "ethnic cleansing" attempts. NATO led the mission in Kosovo to put an end to the Yugoslavia War and stop the ethnic cleansing of Albanians. More recently, in 2011, NATO led a military intervention in Libya to put an end to attacks against civilians in the country. While both decisions were controversial, many believe both did eventually result in improved lives for formally targeted civilian populations. NATO's work in combatting terrorism and protecting civilian populations is just on of the ways in which the alliance benefits the United States and the world. NATO's existence also contributes to general global stability, as a strong European-American military alliance with a mutual defense pact helps deter aggression from other states. NATO is also particularly useful in combatting existential threats that are not only confined to the boundaries of one state, but are transnational in nature—like terrorism. To combat global threats, a strong, global alliance is needed. While Trump has historically claimed that NATO is too expensive for the United States and that it does not benefit it, neither of these notions are entirely true according to some measures. America only contributes 22 percent of the NATO Common Funded budgets, meaning other Allies are also significantly contributing. Finally, the indication that European allies are looking to increase their own defense budgets this year demonstrates they are willing to financially contribute to increase the alliance's military strength. This would also ensure that the alliance's military prowess does not all fall on the United States' shoulders. Overall, Trump should publicly take a stand and reassure allies that the nation will remain committed to NATO under his administration. 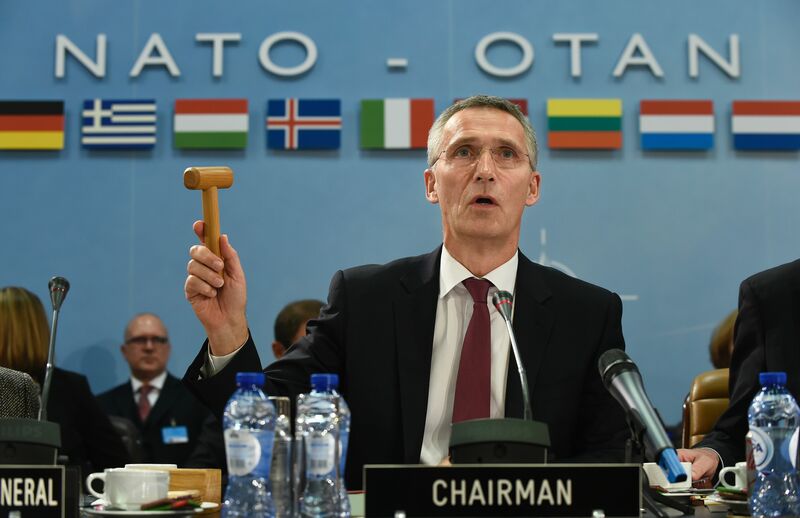 In my opinion, the benefits of NATO membership outweigh the costs, and stepping back from a historical, powerful, and valuable alliance would be an absolute misstep.